carpet stroller – a manager in an office. This term was heard recently on ABC radio by a Word Box contributor. There is very little evidence for this term, and it is possible that it is only used in Australia. We would love to know if anyone else has come across this term. An Australian Cobberdog, and friend. 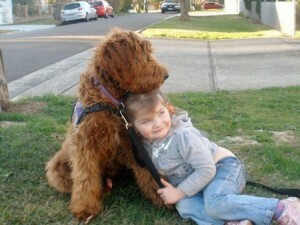 cobberdog – an Australian breed of dog, bred from the Labradoodle. This is a recent breed of dog, recognised in 2012, and often trained to be assistance, therapy, and medical alert dogs. The name derives from the Australian word cobber, ‘a friend, a companion’. exxy – expensive. Exxy follows a very common linguistic pattern in Australian English where a word is abbreviated and then a -y (-ie) suffix added. Some of the most recognisable words in this category include ‘Aussie’ (Australian), ‘barbie’ (barbecue), ‘budgie’ (budgerigar), ‘chewy’ (chewing gum), ‘mozzie’ (mosquito), ‘sunnies’ (sunglasses), ‘surfie’ (surfer) ‘tradie’ (tradesman), and ‘truckie’ (truck driver). A number of these types of words can now be found in other Englishes but are an intrinsic part of informal language in Australia. Exxy is a more recent example with evidence from the early 1990s. lawfare – the use of legal procedures to delay or stop policies promoted by a government. This term is a blend of ‘law’ and ‘warfare’. Early evidence for the term can be found in the media from the early 1980s. It is often found in the context of international law where a non-government entity uses the law to challenge decisions made by a sovereign government. In Australia the term was recently used by Attorney-General George Brandis and other members of the Coalition government in relation to a successful appeal in the Federal Court to halt a new mine in Queensland. In this context lawfare was considered by the government to be a disruptive tool used by environmental groups to sabotage economic development in Australia for political purposes. 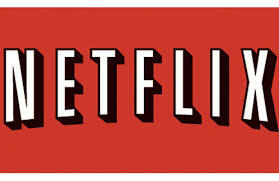 Netflix tax – a tax imposed on imported digital downloads. This term appeared in the Australian media in the lead-up to the 2015 Federal budget in May. The extension of the Goods and Services Tax (GST) to online streaming services from abroad is seen by many politicians as an easy means of raising revenue. For Australian digital streaming businesses the Netflix tax is a way of creating an even playing field in a market that currently only sees domestic providers of digital downloads having to pay the GST. The term itself derives from the name of one of the most popular online streaming companies based in the US. The first evidence for the term Netflix tax occurs in the context of debates in Canada in July 2014 to impose a tax on Netflix to cross-subsidise local television content. tatvertising – the use of tattoos for advertising a product or cause. This term appears to have emerged in July 2015 as part of a promotion campaign for a book. An Australian publishing firm asked female fans of Stieg Larsson’s The Girl with the Dragon Tattoo if they were prepared to ‘donate’ their back for three months. 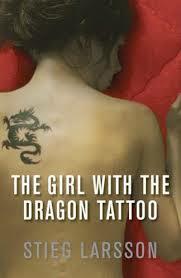 In return for promoting the latest book in the series the woman would get a free dragon tattoo from a Sydney tattoo parlour. The publisher called this a ‘tatvertising campaign’. The plug was pulled on the campaign not long after it started. The phenomenon of using tattoos for advertising has been around for a long time, but it will be interesting to see if this word gets any traction. vocal fry – a very low-pitched speech sound created by the slow vibration of the vocal chords, and characterised by a creaking sound. There is evidence for this term from the 1980s but it has come to prominence in the last five years with commentators suggesting a growing trend in its use among young women. See the video below for some examples. 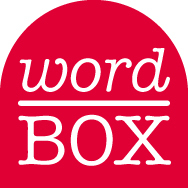 This entry was posted in ANDC, new words, Word Box and tagged carpet stroller, cobberdog, exxy, lawfare, Netflix tax, tatvertising, vocal fry by Mark Gwynn. Bookmark the permalink.